Cover story: The new reality. The CIO role is integral to today’s increasingly digital businesses, but transformational IT executives aren’t necessarily shedding their functional responsibilities — get used to it. 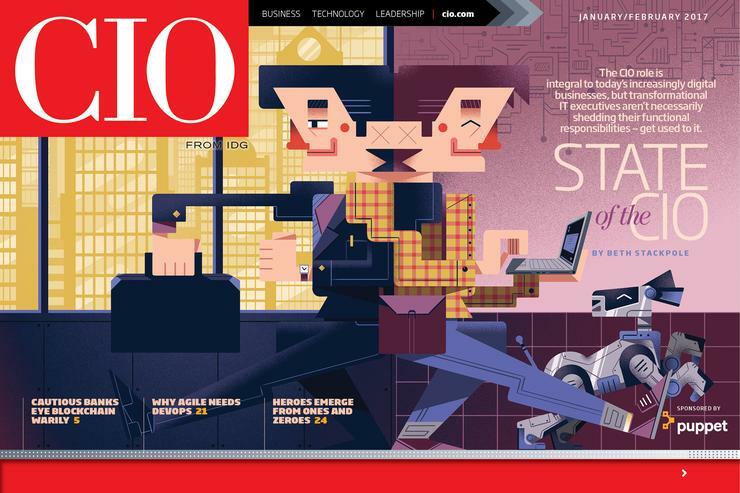 Download the CIO Jan/Feb 2017 Digital Magazine. The CIO role is integral to today’s increasingly digital businesses, but transformational IT executives aren’t necessarily shedding their functional responsibilities — get used to it. Despite the hype surrounding the new technology, it will likely be about two years before financial institutions push wide commercial rollouts of blockchain software systems. GlaxoSmithKline has stopped paying healthcare professionals to promote its products, turning instead to a digital platform that offers a more neutral way to spread the word. Fannie Mae has doubled its software output in the last 18 months, thanks to agile software development and DevOps. Change is always hard, and the transformation IT is now experiencing is unprecedented. But it’s giving CIOs an opportunity to play leading roles. Despite dire predictions, the role of the systems administrator is far from obsolete. Nick Bush’s career is proof that the job remains critical to IT even as it evolves.